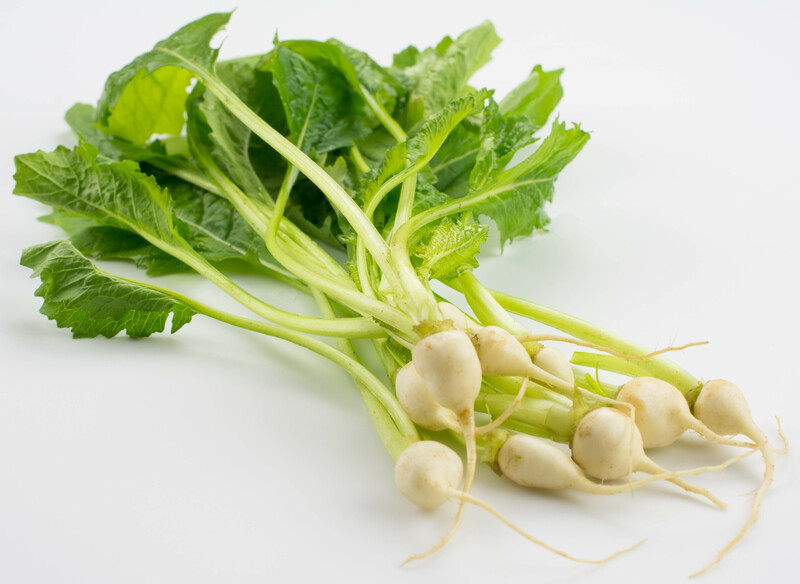 Baby Tokyo Turnip is a small, round, white turnip that is completely edible. Use the earthy greens for a salad or sauté as a braising green. The root has an earthy-peppery-slightly sweet flavor and crisp-crunchy texture and can be used raw and cooked for crudités, salad, and stir-fry.